The foundation of our Product line offerings are rooted within our Services heritage. Historically we have developed analysis and assessment tools for use internally to provide our high quality engineering and logistics analysis services at competitive prices. As a part of our services heritage we also assisted our customers with the design, development and implementation of information management operational support system in the area of logistics and engineering. In 2000 we begin developing customer unique web based application products to meet our customers specific operational management and operational support needs. 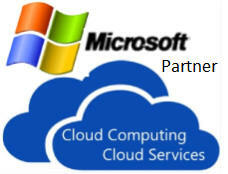 In 2011 we became a Microsoft Partner providing operational support system solutions. Based upon our heritage and as a Microsoft Partner; we have created a unique set of commercially available web based applications that make up a framework for managing government owned and contractor operated training systems. This web based framework can be installed within your corporate network, setup as hosted services, or as private cloud based services. Our products are all 100% web based and relational database application architectures providing un-paralleled functionality through a standard web browser with no client software to install, update or sustain. Our hosted services use a highly secure private cloud-based approach which minimizes your operational costs but provides you unlimited growth and expandability when and as you need it. Doing more with less can really only be accomplished when you can enhance the abilities of your personnel and provide them with the right capability. Personnel armed with the right ability provides your business with the ability to truly do more with less. The real questions then become how can you provide your personnel with more ability while minimizing your budget and at the same time maximize your investment ROI. The answer is a change in your IT strategy and adequately leveraging your IT capability to provide your personnel with more ability. Changing your IT strategy means re-examining your IT capability and moving from just “automating your business processes” to possessing an understanding of how your IT capability can “enable your business” and assist with accomplishing your business objectives. Your IT strategy should be more than just meeting cost reduction goals. It should be an integral part of your competitive advantage approach. An integral part of your IT strategy should focus on leveraging your IT capability as a part of your competitive advantage. In order to adequately leverage your IT capability; your IT capabilities must be optimally integrated with your business to ensure that it is providing your personnel with more ability. Once this is achieved you can truly accomplish more with less. Having the right IT capability at the right cost provides you with the right level of Business Proficiency. Having the right level of Business Proficiency reduces your operational cost while increasing your operational ability allowing you to really accomplish more with less. However no one should just buy new IT on the premise that it will reduce cost and increase their capability. Typically one soon finds out with this approach that while they can do more with fewer personnel resources, their operational costs have increased and their ROI is lower. How well are you using the technology you currently have or own? It isn’t always about what technology you should acquire, but how well you know and understand what you have, how you are utilizing what you have; and how effective what you have is as an integral part of your daily business processes and is it helping you to meet your business objectives. It’s not just about the latest software or cutting IT cost and increasing capability. It’s about how you optimize the balance between investment, recurring sustainment costs, process capability, operational ability, and the future business objectives you want to accomplish. What we do is work with your Line of Business managers to help you find the optimal balance between your technological capability investment and integral business process utilization. We bring together ideas based on needs aligned with your business objectives and integrate with information and technology management approaches to help meet all of your business goals. Our focus is helping you put together a Total System Operational Management (TSOM) capability that provides your business with more capability that enables your personnel with more ability and minimizes total cost of ownership. With TSOM approach you don’t have to understand the working pieces to have the necessary ability to operate your business more effectively. Let a TSOM solution do the dirty work of data collection, assessments, reporting, and information management while you focus on your daily operational management duties and helping ensure your system’s operational capability is sustained at the highest level possible and lowest cost feasible giving your business the true ability to do more with less. Logistics & Systems Engineering Support Services (LSESS) took its 26 plus years of operational support, system design, and logistics support analysis and integrated it with advanced business operational assessment methodologies. We combined these tools with becoming a Microsoft Partner and use this foundation to identify and define the information systems and information management approach that is optimized for your business. Working with your Line of Business managers we use our heritage system design analysis techniques along with our project management experience to incorporate new operational capabilities with a synergistic focus on investment and recurring operational costs as well as your ROI. The Bottom Line is truly being able to Do More with Less, which means increasing capability while minimizing costs. Ask us to show you how Office 365 Cloud Services could be an effective part of your business operational proficiency approach and achieve your competitive objectives. From Small business to mega-large enterprise to Government Agencies there is an Office 365 solution to fit both your need and your budget. Why should business have all the benefits? Not any longer! Ask us about the new Office 365 Cloud services for your Home or as a single Home Office business. If you are a government entity ask us to show you the unique benefits of Office 365 for government organizations and how Office 365 Cloud Services could be an effective part of your organization’s approach to meeting the government’s IT Strategy and Roadmap initiatives. Not all solutions are Office. Ask us about our various application products and / or our partner applications integrated with a Microsoft Cloud Services functionality. From maintenance and asset management to cost and predictive modeling assessment tools to logistics support and supply chain management. Need to better manage employee training—there’s a tool for that too. Let us know what business operational area you have an issue with and we will provide you with a solution that meets your needs and your budget. Also ask us to show you the new and unique TSOM capabilities integrated with an Office 365. We are integrating our application products and some of our partner’s application products as an integral part of an Office 365 capability. Now your personnel can assess all of their IT tools and systems through a single web portal interface. No need for them to access multiple systems with multiple access requirements. One dashboard for everything, plus the ability to have that capability on up to 5 devices without any extra users licensing costs. Even better is the fact that your personnel will constantly have the latest Office capabilities and your IT team will not be burdened with installing patches or having to plan and distribute updates. Whether you want an organic on-premise capability, a mix hybrid capability, or a cloud based solution; we will find the right product solution and integrate it with your business to ensure that it is the Real Solution – "The One that Works for You". The Web Work CMMS was developed by Tero Consulting Ltd and is one of the premier maintenance management systems available today. The Web Work CMMS is now available through LSESS as a U. S. based representative for Tero and the Web Work CMMS product. LSESS in conjunction with Tero implemented and sustained the Web Work CMMS for the Boeing C-17 Aircrew Training System (ATS) as an integral part of the Boeing C-17 ATS maintenance and logistics support system. The Web Work CMMS software is a flexible, scalable software solution with hundreds of features available through seamlessly integrated modules. No matter what the application the Web Work CMMS software system can meet your requirements for operational maintenance and logistics management through integration of the many Web Work CMMS modules. LSESS has extended the functionality of the Web Work CMMS by integrating MIL-STD based logistics support analysis and additional supply support capabilities. The CMMS LSA components provide the ability to continuously determine and monitor both piece part and end item system reliability, maintainability and availability factors. Additionally the CMMS LSA components integrate with both Engineering Management and Configuration Management Systems (EMS / CMS) to ensure that when changes / modifications are incorporated; that corresponding changes are accomplished within the Logistics Support Package. Additionally the CMMS LSA component monitors and predicts the operational support affects and subsequent cost impacts as a result of the design modification / change, and evaluates these cost impacts against pre-modification / change planned budgets. Needing to meet the government's Unique Item Identification (UID) requirements? Let us show you how the Web Work CMMS integrated with other applicable web based tools can be easily adapted to meet your programs specific UID requirements. While UID is somewhat standards based; there is no "one size fits all" standard approach that can meet your programs UID requirements while also helping retain your "right-sized" budget. The TSOM is a set of proven capabilities required by anyone in the business of operating and managing a training system. The TSOM web browser based solutions is easy to use, demands little IT sustainment resources, has robust management and analysis features, and comes with a broad set of performance metric reporting functions. The TSOM end result is a single, centralized web server based and scalable solution that can be accessed anywhere, anytime while requiring no installation on any client computers. The TSOM is a collection of various training system operational management tools that are integrated and / or interfaced with your CMMS, your Training or Learning Management System and your company's business information management systems. The TSOM provides training system managers with the necessary real-time "training system" performance information they need to make daily crucial operational management decisions. The various TSOM tools can be mixed and matched to accommodate both your current, as well as, future growth needs, and the applicable business systems within your business operations. The TSOM components were designed around basic training system operational business processes and information management systems typically used within every training system like the CMMS and TMS (Training Management System or Learning Management System). This permits TSOM components to be easily integrated into existing training systems. The TSOM components take advantage not only of information technology that is available today but are built on a foundation that positions your system to take advantage of emerging information technology while being constraint by typical budget limitations. The TSOM provides the in-depth operational performance assessments, logistics and maintenance information, along with system and device metrics that provide you with the overall operational visibility you need for quick and effective system management decisions. Operational risk mitigation begins with knowing the facts about how your system is performing and what the true root cause might be for infrequent periodic downturns in operational capability which can drive costs or worse; lead to training detriments. With the TSOM you don’t have to understand the working pieces of logistics, maintenance, training delivery, training device capability verses utilization, engineering, system modification concurrency, training scheduling variations, resource competencies and allocations or daily device performance issues to have the necessary ability to operate your training system more effectively. The TSOM combined with your TMS and CMMS as an integral part of your information system does the dirty work of data collection, assessments and reporting. The TSOM information permits you to focus on performance information with having to discern or decipher data or conflicting metric reports. The TSOM information aids your daily managerial decisions allowing you to focus on the operational management duties to ensure your system’s operational capability is sustained at the highest level possible and budgets can be controlled to meet operating costs goals. The TSOM design foundation was proven within the C-17 Aircrew Training System (ATS) over a ten year period of time providing Boeing with unsurpassed management visibility and capability. For more than 20 years our valued clients´ have relied on LSESS to deliver superior "real" solutions along with professional service & support. When you select TSOM as a part of your training system management solution, you get direct technical, administrative and user support from the system and software developer. Your TSOM support team is involved with your team from requirements definition and implementation all along the way through continuing support. The below provides an overview of the current TSOM components that we currently offer. 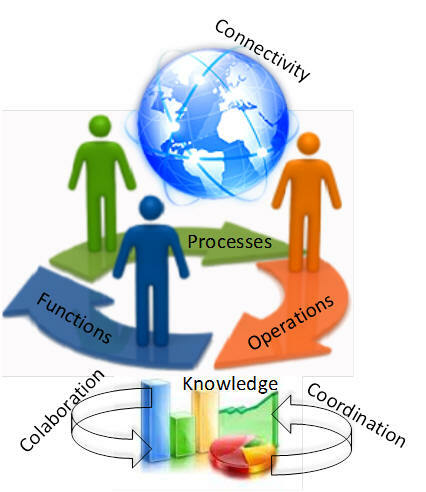 These components are the major components that comprise the TSOM framework. We are constantly working to both improve and add components to the TSOM in order to provide the TSOM with greater capabilities that can assist you with meeting the challenges of total training system operational management. The TSCOPT is a Life Cycle Cost / Total Cost of Ownership Model and Prediction Tool specifically oriented for training system modeling and predictions. The foundation of the TSCOPT was proven during Boeing's initial development and implementation of the C-17 Aircrew Training System (ATS) and used by Boeing until 2010 to successfully and accurately predict training system growth and total cost / budget needs, as well as, for funding profile "what-if" estimates based on variants of student throughput objectives. This tool is capable of projecting various training device, as well as, operational support resource requirements along with funding required ranges over any period of time based on training system student throughput requirements and training system capacity limitations, as well as training foot-print constraints. The Training System Life Cycle Cost / Total Cost of Ownership model was presented in a white-paper at the 1995 Inter-service / Industry Training Simulation and Education Conference (I/ITSEC). The white-paper and the I/ITSEC presentation as well as follow-on presentations given in 1997 at the Association for Educational Communications and Technology/Federal Education Training Association (AECT/FETA) Conference and in 1998 at the Flight Simulator and Engineering Maintenance Conference (FSEMC) are accessible on the read more page. Effective management; regardless of whether its daily operational tasks management, process management, or managerial oversight, requires accurate and timely information. Training system management not only requires accurate and timely information, but also requires a set of operational parameters that permit you to quickly identify your operational success as well as current level of risks when operational performance is not within the desired operational parameters. The TSOM DCARS component is the central data collection and analysis engine of the TSOM. DCARS data is quickly converted to "near real-time" information accurately reflecting current operational performance and compares this information to pre-defined operational performance parameters. The DCARS information is constantly available to your team through any web browser, giving your personnel and management team the information they need to ensure daily operational success and the ability to proactively address operational issues before they become problems. Managing the "bottom line" starts by having the tools and applicable information that enable success. The TSOM DCARS not only provides the right tools but the correct information that can not only achieve your bottom line goals but the performance objectives that differentiate your organization well above your competition. Courseware cost estimating like engineering cost estimating is perhaps one of the more complex and difficult areas especially we attempting to derive competent cost estimating relationships (CERs). Here "competent" CERs means one that can be validate by providing a foundation of verifiable cost estimate justifications. The major complexity with both courseware and engineering cost estimating is first due to the product being estimated and secondly the host of methodologies, both manual and automated, used to provide the product. The TSOM CW WECS provides a set of process based tools that provide the correlation integration between your courseware product methodologies and your courseware estimating capabilities. 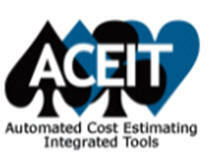 The CW WECS gives you the tools to provide highly competent courseware development or modification cost estimates with the verifiable and validated cost estimate justifications (CERs) needed to demonstrate cost accuracy and optimize your estimates based on the way you do your courseware business. The CW WECS side benefit is a lower execution risk factor which means your management team can focus on managing daily operations rather than providing a large amount of focus on execution risk management and mitigation. Increased bidding accuracy with quickly verifiable estimate justification and lower accomplishment risk probability means achievement of bottom line goals and objectives. The TSOM CW WECS is based upon the fundamentals contained within MIL-STD-29612-5 Advanced Distributive Learning (ADL) Products and Systems. The CW WECS is a web based set of tools that integrates into your Instructional Systems Development (ISD) courseware processes without changing or impairing your courseware development methodologies. The CW WECS can be integrated with any courseware development and management system without modifications to those systems and with minimal integration costs. The CW WECS accomplishes this by adapting to the way you work rather than having the tool dictate your work processes. The TSOM CW WECS consists of two integral parts; a courseware Work Effort Collection (WEC) and a courseware Development Estimating Factors (DEF) Part. The CW WECS is not a replacement for your time or labor accounting system but can interface with your labor accounting system to provide supplemental information about courseware development and modification activities. The CW WECS focus is on collecting the data and compiling the information needed to develop and provide you with highly accurate and validated courseware cost estimating relationships that are a true reflection of your business. Most training systems today do not effectively capture or measure training delivery performance metrics and assume that these are addressed as either a part of training system operational management activities or as a part of or within the training or learning management system (TMS or LMS). This premise in most cases is not true and thus most training systems today do not possess the ability to monitor or manage true training delivery effectiveness. Low or "unknown - guessed at" training system effectiveness rates falsely drive a need for everything from addition resources to new training device capabilities which may not actually be needed if training delivery performance was adequately monitored and managed. Managing to identify and address recurring training delivery impact issues permits implementation of training delivery fixes which not only increase the training system’s effectiveness capability, but also lead to a higher return on training investment dollars. While the TMS / LMS focuses on defining and managing the approved training foot print and the planned scheduled training as well as post training student training records management; the IDTLMS is focused on those variances and operational issues that occur during training delivery which affect both the ability of the training system to effectively deliver training and those training delivery trend issues which cause ineffective usage of the training system’s capacity. Knowing the difference between training delivery performance and delivered training is one of the keys that defines leaders in the training industry verses just another training company. The TSOM IDTL provides you with the tools and mechanisms to differentiate you as a leader rather then "just another company". Performance indicators are the measurement of the delta between actual performance data collected and the established performance target. Understanding why this delta exists, what the drivers are, and how to control these drivers are the keys to operational risk management, ensuring organizational health, and accomplishment of business objectives while minimizing investment. Training system performance management fails in most organizations for two simple reasons. First most organizations do not have a single mechanism for managing and controlling performance targets. Secondly when operational performance is less than optimal or below a tolerance range parameter, most organizations use a subjective root-cause assessment to rationalize or justify the less than optimal performance factor. Both of these factors possess the hidden aspect of increased investment for accomplishing business objectives. The TSOPMS provides the ability to identify, define and manage a set of operational profiles that control the performance targets for training system management metrics. These centralized managed metric targets are provided to the applicable information management systems that contain the operational process measurement mechanisms. On-line anytime accessible operational profile documentation provides your management team with the periodic support information they need for effective performance management and pro-active daily operational management decisions that affect performance outcomes. Combining the TSOPMS with other TSOM components such as DCARS, IDTL, etc. provides your management team with the non-subjective root-cause analyses capabilities that ensure effective operational performance management. TSOM performance reports provide a clear and concise identification of performance variances along with the variance drivers or causes. This near real-time operational performance information allows your management team the opportunity to "adjust" rather than engage in operational risk management and mitigation activities. Giving your management team the tools they need for effective performance management maximizes business investments, improves customer satisfaction and provides your organization with the competitive advantage of being the industry leader and not just another entity following the pack. The key to a successful training system is the ability to control operational costs at the lowest possible level while at the same time ensuring a high level of operational readiness capability. Material and labor costs typically comprise more that 85% of a training systems operational sustainment expenditures with the material cost making up the majority of the sustainment expenditures. Controlling any costs comes from knowing what drives the cost and then understanding how to control the cost. Knowing how to control costs requires relevant and timely information combined with the methodologies necessary to adequately control the costs. The TSOM LSMS was designed to provide you with the timely and relevant information as well as the methodologies or tools to adequately control your material operational costs while also providing you with a high level of operational readiness capability. The TSOM LSMS integrates with your maintenance management, engineering management, configuration management and other information management systems to bring the true meaning of Integrated Logistics Support (ILS) capability to your training system. The TSOM LSMS provides the Logistics Management Information (LMI) and Logistics Support Analysis (LSA) functions critical for successful training system operational management. The TSOM LSMS covers the complete spectrum of logistics support from development and management of Logistics Support Package (LSP) requirements, to technical documentation management and a host of analyses efforts such as reliability, maintainability, availability, spares determinations and optimization. Need Unique Item Identification (UID or IUID) capability as a part of your logistics support system? The TSOM LSMS can enhance your operational support system with a cost effective UID management capability. Whether the UID needs to be an enhancement to your maintenance management or a stand-along UID capability, the TSOM LSMS can help your achieve your UID requirements. Effectively managing and controlling material sustainment costs is only part of the puzzle to maintaining a high level of operational readiness. Knowing how your operational support system is performing and when as well as how and why to make adjustments to operational support needs provides you with the tools you need to ensure a high level of operational readiness at the optimally balanced cost investment. A high level of operational readiness means higher customer satisfaction while lower support costs not only improves the bottom line, but provides a better ability to address the other portion of operational sustainment expenditures - high quality labor retention. Change is healthy for most business organizations. In most cases it enhances the organizations ability and provides new or more efficient capabilities. Typically operational changes reach across multiple organizational areas and processes. Change management requires an affective mechanism to measure, analyze and manage the change risks to ensure that the true change objective is realized and that the organization obtains the maximum benefit of the change. Training System Change Management goes well beyond the traditional design Change Management focus. Training System Change Management must include the ability to initially identify change drivers and formulate these into change needs within a multitude of different areas such as training requirements, courseware requirements, training device requirements, logistics and maintenance requirements, training delivery requirements, student throughput requirements as well as traditional technical design, project and in many cases contractual requirements. Additionally a Training System Change Management capability must be capable of tracking and managing initially identified training change needs that may be delayed or archived awaiting funding issue resolutions. The TSOM Change Management System has the unique abilities required to effectively manage training system changes from initial needs definition to implementation as well as interim "wait periods" without loosing the valuable information or your current investment. The web based centralized managed TSOM CHMS ensures that all entities that need change management information have quick cost effective access to the latest and most accurate information. The TSOM CHMS action item management component ensures that change needs do not get lost and ensure that geographically dispersed personnel currently responsible for a processing change activities are effectively managed keeping your change management activities on time and within budget. The TSOM Change Management System enables you to more effectively manage the change process and its inherent risks. Effectively managing and controlling change does more than provide new or enhanced capability. It also delivers the dollars that justify the change initiative while improving the bottom line at the same time. Any viable Project Management System (PMS) must consider and include the operational support system components of your training system organization. Many project management systems only include operational support systems as an after-thought associated with a training device modification. Training system modifications that fail to incorporate parallel modifications to operational support or training device sustainment systems result in disappointing training system performance and larger than anticipated operational sustainment expenditures once the modification is completed. The TSOM PMS was designed to ensure that operational sustainment considerations are an integral part of your project management system. Ensuring that operational sustainment is a part of your project management efforts, provides a underlying guarantee that your organization realizes the true benefits you were attempting to gain with any project effort. The TSOM PMS consist of two options. If you do not currently have a project management system, LSESS can assist you with implementing a complete Microsoft based project management system as an integral part of your organization. We begin by understanding your project management needs through used of the Project Management Maturity Model (PMMM). Knowing where you are with PM maturity provides a good starting point for determining how to get you the PMS you need. Based on the PMMM results we work with your management team to define the PMS requirements and then work with your IT team to derive the PMS specification for PMS implementation. During implementation we work with your management and IT team not only to implement your PMS, but integrate PMS help-desk functions that will be needed to ensure that your PMS will be the benefit it should be in the future. Our TSOM PMS is not just IT applications that are installed within your information management system. The TSOM PMS includes the project management procedures, processes and work instructions along with on-line training capabilities that comprise a complete project management "system". Our TSOM PMS is formulated around the Professional Management Institute's (PMI) Project Management Body of Knowledge (PMBOK) and then incorporates the critical components for including and managing operational support system changes as a part of your project management efforts. If you current have a project management system, the LSESS team of Project Management Professionals (PMP) will work with your management team to accomplish a PMMM evaluation of your PMS. This evaluation looks at the "system's" ability to fully consider operational support system change needs with training system modifications. As part of this evaluation we assess your operational support system's adaptiveness to change and evaluate the mechanisms used to implement and manage parallel support system changes with a training system modification. A project management "system" is more than just IT applications. As part of our PMMM evaluation; we assess your system's capabilities based upon the PMBOK foundational principles and provide you with a Gap Analysis not only regarding effective project management capabilities, but the level of your system's ability to ensure that operational support system change needs are an integral part of your project management efforts. Our Gap Analysis includes a review of your management procedures, processes and work instructions along with PM training capabilities which comprise the complete project management "system". Training system organizational inefficiencies start with the wholistic understanding of Training System Change Requirements (TSCR) and how to effectively manage the complete TSCR. The quality of project management is reflected not only in the successful execution of the project but the level of operational efficiency within the training system post project implementation. Don't let operational support system inefficiencies become the root-cause of customer dis-satisfaction and the hidden drivers in your operational costs. Knowledge is the first step that differentiates you from your competition and a complete PMS provides you with a major piece of that knowledge. The TSOM EMS is a multifaceted interface between an engineering management system, the maintenance management system, and TSOM components. Effective maintenance, supply support and logistics can only occur when design baseline changes are incorporated in all aspects of maintenance management and logistics. Engineering design baseline changes that are not, or are only marginally incorporated in to your Logistics Support Package (LSP) requirements drive operational costs and make budget management a mysterious black-art rather then a refined management capability. The TSOM EMS interface ensures that training system design changes are immediately reflected in the maintenance management and logistics management systems, ensuring that maintenance and logistics can effectively support your current fielded training system design. The TSOM EMS removes the "guess work mystery " for controlling operational support costs and meeting budget goals by ensuring that LSP requirements are aligned and coordinated with engineering baseline design changes. Whether you just need an LSP to EMS interface for your existing system or need a complete EMS; LSESS can assist you with defining and implementing a system that meets the objectives and fundamentals of EIA-632 / MIL-STD-499 (Systems Engineering). In addition to the above products, as a part of the Microsoft Partner network; LSESS has the depth and breath to provide a broad range of Microsoft software application specialist along with providers of unique products to meet your unique needs. We will work with your IT team to identify and define your specific operational needs based on your business and program requirements and put together and effective training system information management system that is the right or "real " solution for you. One that meets both technical needs and budget constraints - the "one that works for you".